Search for the best flight prices from Manchester to Brescia. Compare prices, book today and save money with Manchester Airport. In the Val Trompia in the heart of Lombardy, Brescia is more than a gateway to the Italian mountains. Handy for Milan as well as the beautiful Lakes of Garda and Iseo, it offers much to both leisure and business visitors, in addition to being an important archaeological, financial and technological hub. 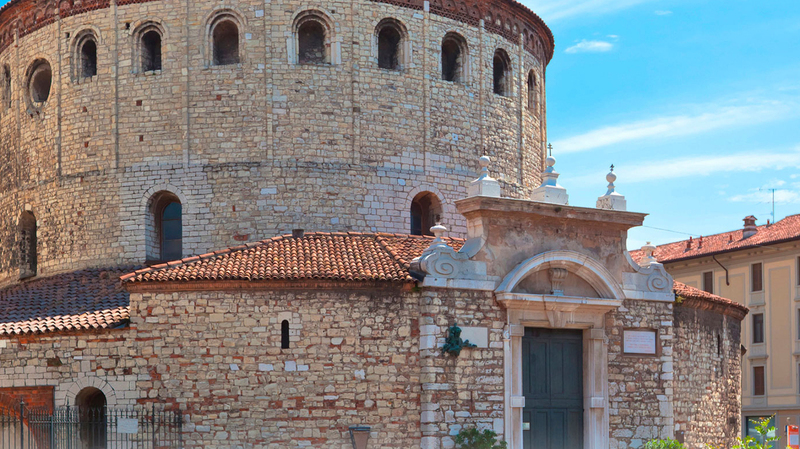 Visit Brescia and discover modern, outgoing, high tech Italy, with a truly ancient heart. In Brescia, you can take your pick of smart, four-star options with castle views, such as the Best Western Hotel Master (Via Luigi Apollonio 72) and Hotel Ambasciatori (Via Crocifissa di Rosa 92); both are located close to the historic centre. Particularly classy - and next to the Duomo Nuovo - the five-star Hotel Vittoria (Via X Giornate 20) has bright, light, cream-hued rooms and Murano-glass chandeliers. There's a more limited choice of middle-range hotels and budget options in Brescia, but you'll still find some appealing places, including the three-star Regal Hotel (Viale Europa 2b), which has the added advantage of a swimming pool. Although small, Brescia is a great place to shop. Brand names can be found in central locales, such as the gracefully colonnaded Piazza della Loggia, the narrow Corso Palestro and the cobblestone Corso Zanardelli. Alternatively, join bargain-hunting locals at Franciacorta Outlet Village (Piazza Cascina Moie 1/2) in Rodengo Saiano, 20km outside the city. For unique items, browse the antiques shops and art galleries clustered within the streets between Via dei Musei and Via Tosio - on the second weekend of the month, there's also an antique market at the Piazza della Vittoria. Foodies will love gourmet grocery Buonissimo (Corso Mameli 23), while there's more than just food at the Coin (Corso Magenta 2) department store. The robust Lombardy cuisine can be sampled at numerous restaurants around the city. Local delicacies include lumache alla bresciana (snails cooked with parmesan), bollito (boiled meats), cotechino (boiled pork sausage), risotto and polenta-based dishes. Try such delicacies at the romantic wood-panelled Trattoria Due Stelle (Via San Faustino 46), the extraordinarily beautiful La Sosta (Via San Martino della Battaglia 20) with its high-arched frescoed ceilings and colonnades, or at Ristorante Castello Malvezzi (Via Colle San Giuseppe 1), which has elegant interiors and intimate dining rooms. Many miraculous events are attributed to Saints Faustino and Giovita, including the liberation of the city from Visconti troops. This fair celebrates Brescia's patron saints with food, arts and crafts stalls around the city centre. This dance festival celebrates many different forms of dance, from contemporary to tango, in a myriad of performances by international troupes. There's also a chance to learn techniques in seminars and demonstrations. This piano festival, one of the world's finest, is comprised of recitals and concerts featuring some of the greatest symphony orchestras, as well as vocal and instrumental chamber music. Concerts take place in the elegant Teatro Grande. One of the world's greatest car races, the Mille Miglia starts in Brescia. It features glorious classic cars selected exclusively from the models that took part in at least one of the historical races from 1927 to 1957. The first section of the three-stage, 1,000km race runs from here to Ferrara. Named after the local sparkling white wine, this is a festival that welcomes the onset of autumn with a weekend of culture, foodstuffs and tastings in the many local wineries and cellars.